Best price, great service, fast delivery! 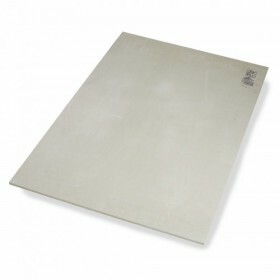 a great manageable size, easier to use than hardy backer boards, will definitely use again. excellent service,really quick delivery,lot cheaper than stuff in Wicks and easier to use . How many screws per board? Hello, If fixing to wooded floorboards you glue AND screw them down. Once laid you can seal with tilers primer, but that isnt always required. It depends a lot on the adhesive you are using. for 14m2 You will need 11 boards, approx 100 screws and 3 tubes of adhesive. Been using 12mm ply on previous jobs But on this particular job they have a low to the ground front door so retricted in height. Would a 6mm no more ply give me the same strengh and firmness that a sheet or 12mm ply would. Yes, assuming you are overboarding and not installing directly over joists. 6mm no more ply is a good alternative to 18mm ply when used over existing floorboards or chipboard.